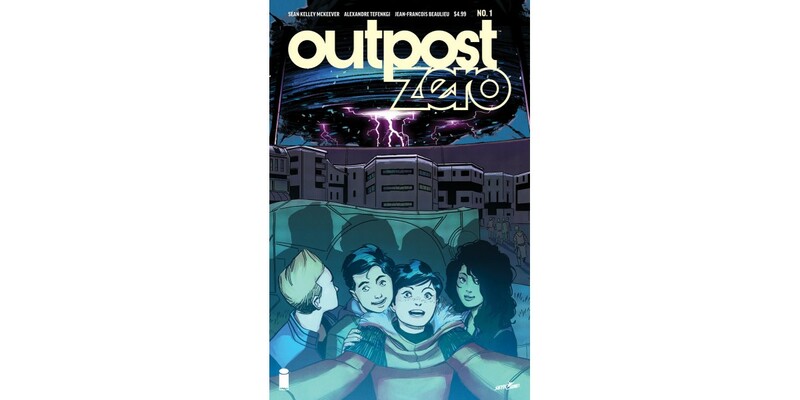 Image Comics and Skybound Entertainment invite you to explore the mysteries and wonder of the Frost this July as Eisner-winning writer Sean Kelley McKeever (The Waiting Place, Spider-Man Loves Mary Jane), artist Alexandre Tefenkgi, and colorist Jean-Francois Beaulieu bring you your new favorite series: OUTPOST ZERO. OUTPOST ZERO #1 (Diamond code: MAY180043) hits comic book stores Wednesday, July 11th. The final order cutoff deadline for comics retailers is Monday, June 18th.